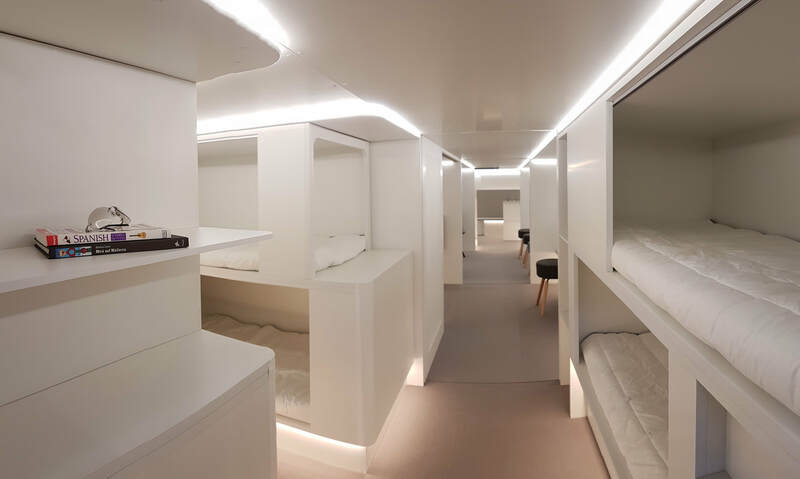 The partnership – between Airbus and French group, Zodiac Aerospace – envisage sleeping berths fitting inside existing aircraft cargo compartments. They say the move will offer new opportunities for additional services to passengers, improving their experience while enabling airlines to differentiate and add value for their commercial operations. The new passenger modules will be interchangeable with regular cargo containers during a typical turnaround if required. Moreover, the aircraft's cargo floor and cargo loading system will not be affected at all, as the passenger module will sit directly on it. Airlines will initially be able to choose from a catalogue of certified solutions by the year 2020 on A330 for retrofit and line-fit markets. And the partners say the plan to offer sleeper compartments on the A350 XWB aircraft is also being studied. The innovation builds on both Airbus' and Zodiac Aerospace's experience in producing and integrating lower-deck crew rest facilities.